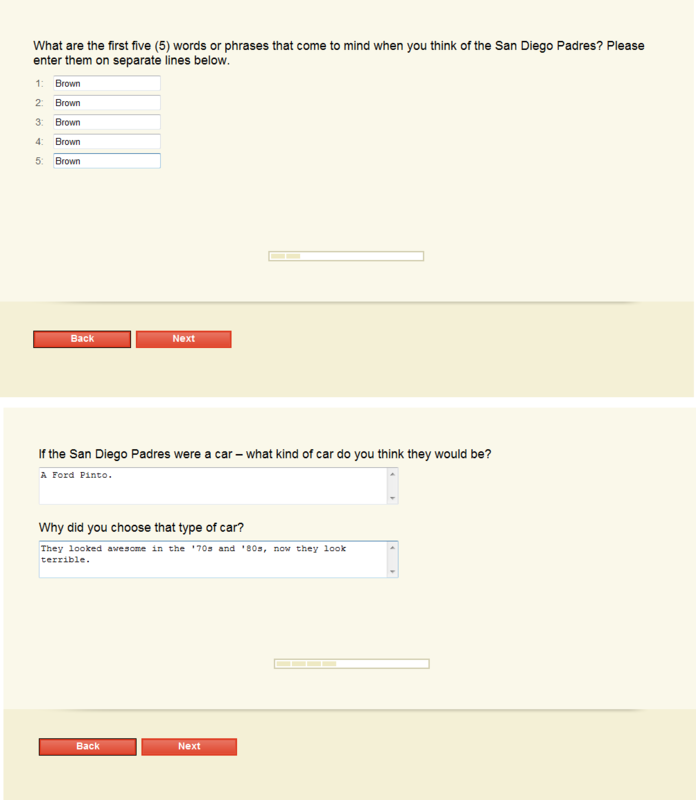 Anybody Else Take That Survey The Padres Sent Out? I did… although when I hit submit my internet crashed so I have no clue if it actually went through. Either way, I screengrabbed the important stuff. Bring back the brown, Mike Dee. This entry was posted in Baseball and tagged Padres, padres brown uniforms, padres survey. Bookmark the permalink.